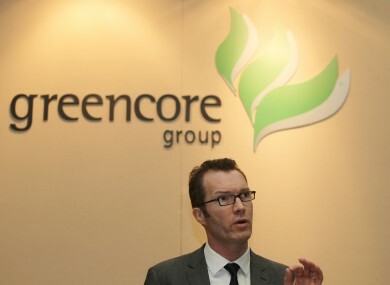 Greencore’s CEO is Patrick Coveney, brother of Agriculture Minister Simon Coveney. GREENCORE HAS SAID that tests on food items made using its products showed they contained almost 5 per cent equine DNA. Further to its announcement on Thursday, Greencore said it can confirm today that it has been informed by Asda that the results of the quantitative tests on Asda’s Chosen By You 350g Beef Bolognese Sauce have shown above trace levels (4.8 per cent) of equine DNA. Greencore only sources products from customer and Greencore approved suppliers, which are regularly audited, and insists that they in turn use approved suppliers. The company is therefore carrying out a thorough and comprehensive investigation to fully determine how its supply chain came to be compromised in this way. The company has received assurance from Asda that it “remains supportive of Greencore and the steps it is taking with regards to this matter”. Greencore continues to participate in full with the intensive industry testing programme to examine the full supply chain in order to restore consumer confidence. All other test results on Greencore products have been negative, and none of its other sites have been affected. Greencore produces 150 million prepared meals a year at its five British plants, and said that beef in the products that were found to have equine DNA had been supplied by ABP Food Group and produced at its plant in Nenagh. However, ABP said that it carried out a traceability exercise on the consignment of beef sent to Greencore Group that was used in the batch. It said in a statement that ABP Nenagh is satisfied that they are not the source of the positive equine result. It also said that it has never processed, purchased, traded, stored or handled equine product and it will continue to test for equine DNA. ABP is the parent company of Silvercrest Foods.The latter’s Monaghan facility was among the first to be found with beef products containing equine DNA. Up until the discovery that equine DNA was in the Asda fresh bolognese sauce, all the other products found to contain horsemeat were frozen items. Minister Coveney convened a special meeting of his EU counterparts in Brussels on Thursday to discuss the horsemeat scandal. He said afterwards that a pan European testing programme is being agreed on, and that Ireland is liaising with Europol on the horse DNA issue. Email “Greencore: Bolognese sauce contained 4.8% equine DNA”. Feedback on “Greencore: Bolognese sauce contained 4.8% equine DNA”.